The winter is here once again and this year is also about to end. Countdown to usher in the New Year 2019 has almost begun. Every nook and corner is decking up for the upcoming festive season. 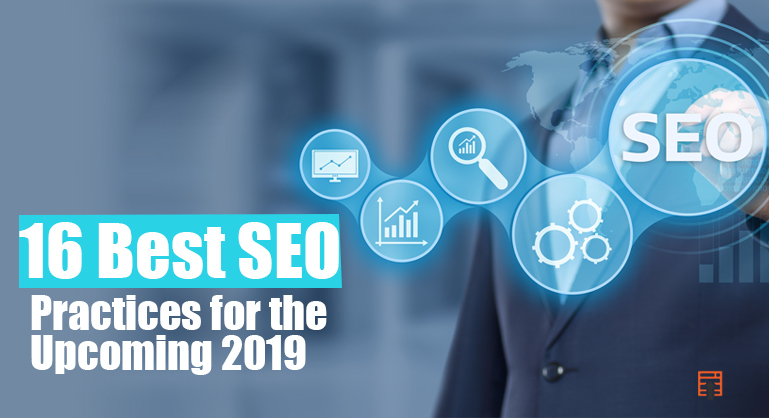 In this circumstance, let’s take a look at the supposed SEO techniques for 2019. 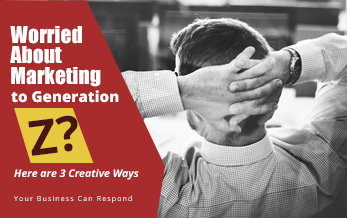 SEO is a volatile and ever-evolving industry. Some basics in this industry have stood the test of time. For example, securing a high rank on SERP is both challenging and time-consuming job. Fortunately, there are SEO techniques that can be easy implementing and you can count on them to bring you desired results. Moreover, most of these techniques involve the basic SEO, and so, you can achieve them alone without hiring an SEO agency. Optimise all your titles and headings: Make sure that your pages are targeting proper keywords. As far as title tag is concerned, remember that the title tag is the most relevant. Therefore, every title tag must contain the appropriate keyword(s). Placement of the keyword should better be at the beginning. On the other hand, the H1 is the most important heading, and your page can’t afford to omit or overlook it. Prioritise website navigation: Navigation is the most crucial structural element on any website. It is the fundamental thing that links to “other” pages of a site. It is better to have these links at the top of your page. Add breadcrumbs to your page: Adding breadcrumbs invariably proves helpful for websites by creating them a structure. Especially, if you’re an e-commerce site(s), you should add breadcrumbs. Implement tracking and monitoring on your website: If anyone asks what’s an effective SEO technique for 2019, the majority of search engine marketers will positively identify this one. 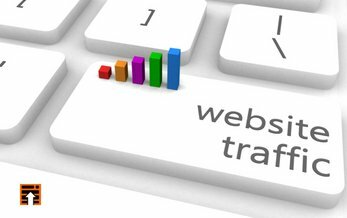 Tracking and monitoring a website is utmost crucial. If you don’t make these efforts, you’ll never detect the issues with your website. Proper tracking enables your site to be more improved and user-friendly. Consider using Google Search Console and Google Analytics to monitor organic search traffic on your website. These free tools also enable to identify other issues on your site. You can install the tools easily, provided you’ve server access. It is also possible for installing them through plugins for CMS. SSL certificate: These days, as cybercrime is on a constant rise, SSL certificate is a significant ranking factor for websites. SSL installation is pretty easy. 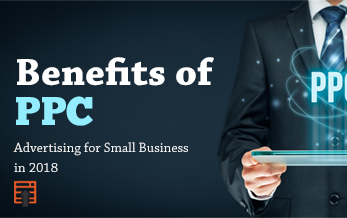 You can seek help from your hosting service provider. Secure your maps listing: This adds huge value to your website. You can use Google MyBusiness to have your site listed on Google. 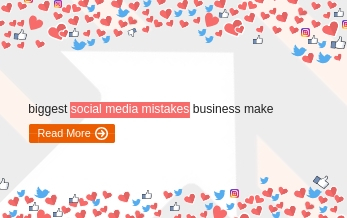 Moreover, the listings will link back to your website, which makes it easier for your visitors to locate you online, even if your site’s SERP ranking is poor. Once you create the listing or claim its ownership, do unfailingly fill out all the necessary details about your business correctly. You also need to add great pictures of your location, team, and products to make the listing more authentic. Compressing and optimising images: Images invariably take up a lot of space on the server. Accordingly, they also take up a lot of space on your user’s device taking a lot of time to get loaded. This slow loading time is a severe problem for any website and affects its conversion. 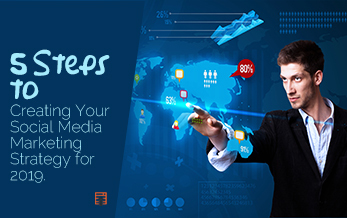 Therefore, you must compress and optimize your images before uploading them on your site. Image compression minimizes the size of an image on the disk without affecting its quality or quantity. To compress your images effectively, you can avail tools like Smush for WordPress sites. ShortPixel is another favourite tool which has an API. Tiny PNG allows you compress images every time before uploading. Boost your site loading time: Apart from images, there are other elements to affect a site’s loading time. These include related files and PHP conflicts. Even database queries are known to take a lot of time to get a load. To boost your site loading time, get rid of all the unnecessary plugins, especially the slider plugin – if you’ve installed one. A static image with a CTA button is no less valid than a slider. Your visitors hardly click on the slider to avail your offers. Instead, the slider element takes up a lot of space as well as resources. Avail the service of a great hosting provider. Include only the minimal resources that are required to load your page. Keyword-rich anchor text: Use keyword-rich anchor text for page interlinking: is an important SEO technique that you can’t afford to ignore. It helps you linking the relevant pages using particular anchor texts. Interlinking the website pages not only has a lower risk than building backlinks through keyword-rich anchor text. As and when you add new content, do ensure to link it to other relevant pages as well. Link your business to relevant and high-authority websites: Google checks your backlinks. Make sure your business links to related sites that enjoy high-authority in your particular domain. 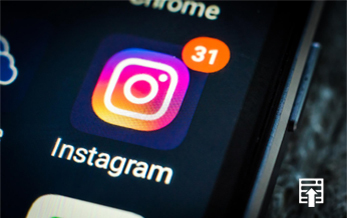 Make sure your social media profiles are secure: Experts from DubSEO – the renowned SEO agency in London – emphasize that your social media profiles are stable. 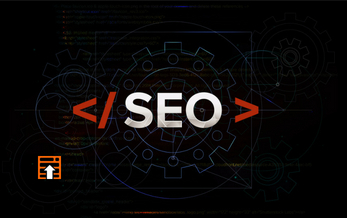 It is possible to generate some initial backlinks to your site through these profiles. On the other hand, you may have to give up your desired business name if in case a competitor registers it beforehand. Boost shareability of your pages and posts: To drive more traffic to your website, you must have your content shared as much as possible. To make your content easily shareable, don’t forget to include Like and Share buttons on the pages. 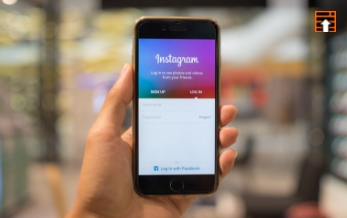 Keep yourself focused on the platforms that are most frequented by your target audience. Use the “lock content” feature to create interest in your content among your readers. Share other’s content too: It is always healthy to share quality content, even if it’s not yours. Google appreciates this. Ask for reviews among your friends and customers: Ask your friends and customers to provide you with positive reviews. Reports are a significnt factor in Local SEO ranking. The higher position your Google MyBusiness Listing holds the more value is assigned to your business and website. If you offer quality products or services, your customers will not avoid giving you good reviews. Your friends can also review your page on GMB and Facebook. Publish fresh, relevant and captivating content: The higher the content quality, the traffic lands on your website. Publish blogs at regular intervals to show Google your business has an active site. Good quality content can also earn you high-quality backlinks. Make your website mobile friendly: Google focuses on mobile-first indexing. In this circumstance, you need to optimise your site for mobile users. Else Google may penalise your website. On the other hand, the number of mobile Internet users is rising rapidly. Thus, if you ignore your mobile visitors, the significant chunk of your probable buyers will remain out of your business scope. 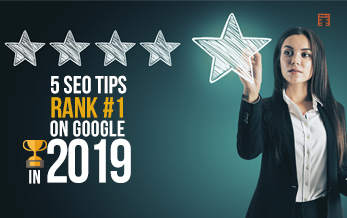 The tips discussed above are some of the best SEO practices for upcoming 2019. You can consider them as your primary SEO roadmap in the future.